Steaua Bucureşti and Hermannstadt face at Arena Naţională, in a match for the 23th round of the Liga I. 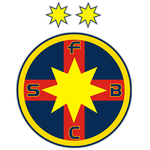 In the last league head‑to‑head, played in 30‑09‑2018, Steaua Bucureşti got an away win by (1‑3). The head‑to‑head record between these two teams couldn't be more balanced, since there were 1 win for each team in the last 2 head‑to‑heads. Hermannstadt registers significant differences between home and away results, so special attention is due to the home/away factor. After 12 wins, 5 draws and 5 losses, the home team is in the 2nd position, havinf won 41 points so far. In the last match, they have tied in an away match against Dunărea Călăraşi by (1‑1), after in the previous match they have lost (0‑2) at home, against CFR Cluj. This is a team that usually maintains its competitive levels in home and away matches, since in the last 30 matches they register 6 wins, 5 draws and 4 losses in away matches; against 10 wins, 3 draws and 2 losses at their stadium. In the last 10 home league matches Steaua Bucureşti has a record of 7 wins, 1 draw and 2 losses, so they have won 22 points out of 30 possible. The most recurrent result at half‑time in their home league matches was the 0‑0 (4 out of 11 matches). They haven't been very strong defensively, since they have suffered goals in 8 of the last 10 matches, but their offense has scored frequently, since they have scored goals in 9 of the last 10 matches for this competition. They have conceded the first goal in 8 of their 22 matches for this competition, but have been able to turn the score around in 3. Confirmed Lineup: C. Bălgrădean, Junior Maranhão, R. Benzar, M. Bălașa, M. Pintilii, F. Matei, L. Filip, F. Tănase, F. Coman, A. Hora, D. Man. The away team is currently in the 7th position of the league, with 29 points won, after 8 wins, 5 draws and 9 losses. In the penultimate match, they won in a home match against Viitorul, by (1‑0). In the last match, they tied in an away match against CFR Cluj, by (1‑1). This is a team that usually gets better results in away matches than at home, since in the last 30 matches they register 7 wins, 3 draws and 5 losses in away matches, with 17 goals scored and 13 conceded; against 5 wins, 5 draws and 5 losses at their stadium, with 17 goals scored and 14 conceded. 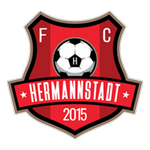 In the last 10 away league matches Hermannstadt has a record of 4 wins, 2 draws and 4 losses, so they have won 14 points out of 30 possible. In their away league matches the most frequent result at half‑time was the 1‑0 (5 out of 11 matches). Their offense has scored consistently, as they have scored goals in 9 of the last 10 matches for this competition. In their away matches there is a tendency for few goals, since 9 of the last 11 matches for this competition have ended with Under 2,5 goals. In 22 matches for this competition, they have conceded the first goal 11 times and have only turned the score around in 1. In the last 11 away matches for this competition there is 1 period that stands out: they have scored 4 of their 11 goals between minutes (46'‑60'). Confirmed Lineup: C. Căbuz, I. Stoica, S. Popovici, L. Dumitriu, D. T?tar, A. Dandea, D. Offenbacher, F. Jazvić, R. Dâlbea, Pedro Moreira, Ș. Blănaru. NOTE: Statistical values limited to the matches in our database. No tips were made for this match in the competitions available at the Online Betting Academy.